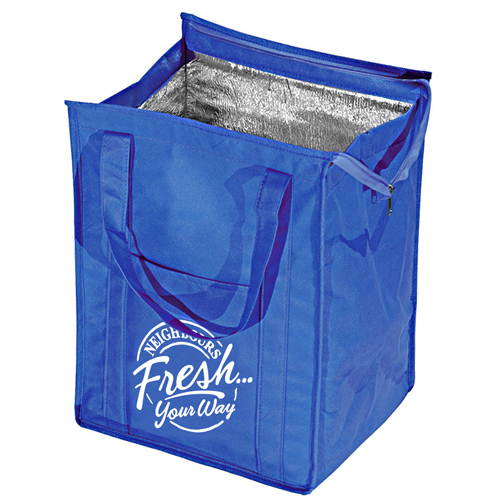 Keeps food cold or hot longer. 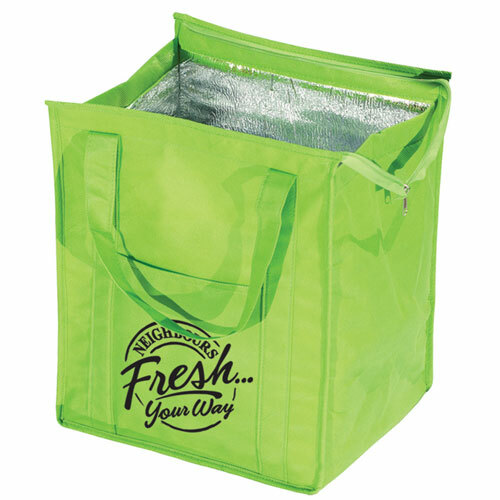 Fully insulated zipper closure grocery totes. Made from recyclable and reusable materials, 80 GSM non woven polypropylene.19" Reinforced carrying handles, gusseted side panels and bottom reinforcement. 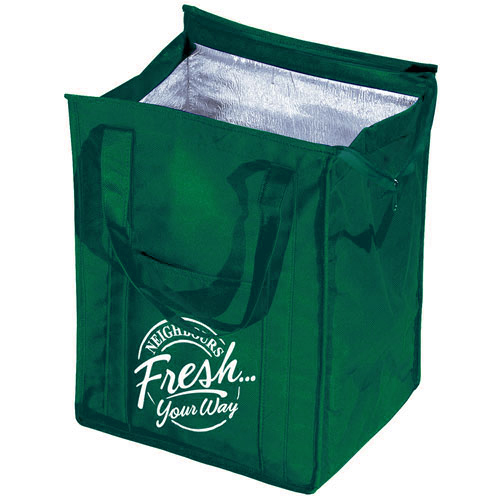 The best way to carry refrigerated/frozen or hot food from the grocery store. 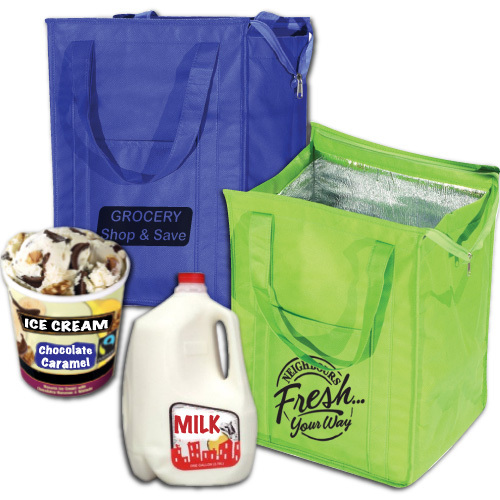 Help keep your ice cream and other foods colder longer; even with a few stops on the way home! Bulk / 7 lbs / 200 pcs.